Write a chapter of your love story with our bespoke blooms and botanicals. 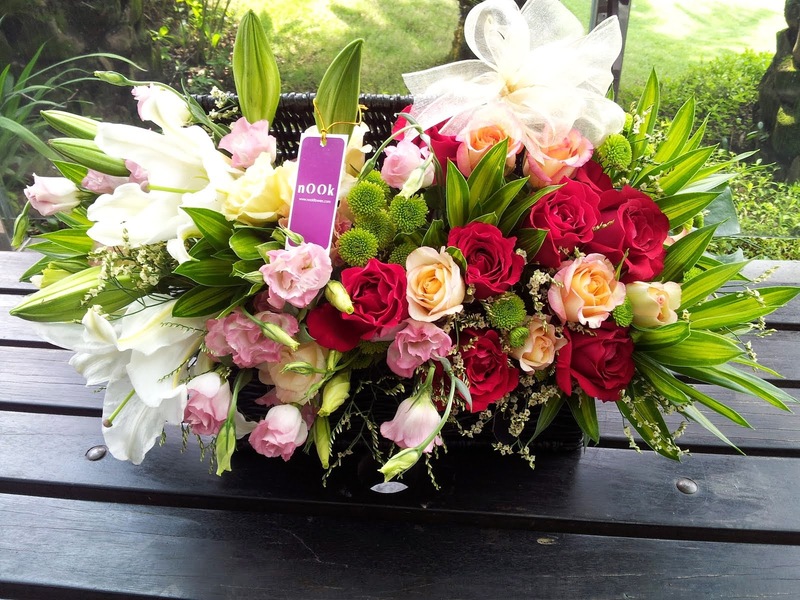 Roses may be the darling of the occasion but we recommend our lush, textured mix flowers for bouquets and arrangements. Mixed bouquets start at RM100, while a classic bouquet of roses starts at RM160. Arrangements in baskets start at RM150 and vases RM200. 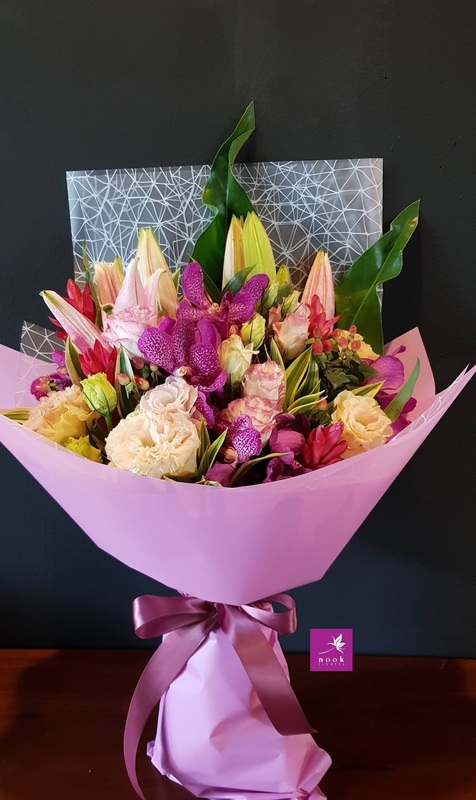 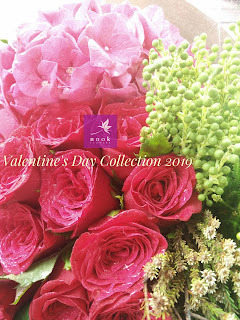 *To ensure you get the best of our service & due to the popularity of Valentine’s Day, please order at least 5 days ahead of intended delivery date. *Confirmation of order is by full payment & notification of receipt by Nook Flowers. statice, and caspia for RM160. 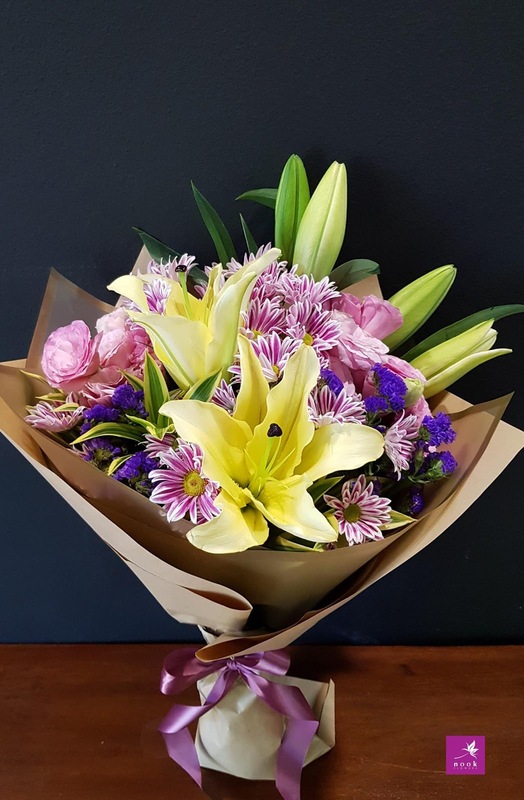 Spring inspired pairing of Concador lily, candy cane mums, eustoma and statice. "You are the sunshine of my life" goes the song. 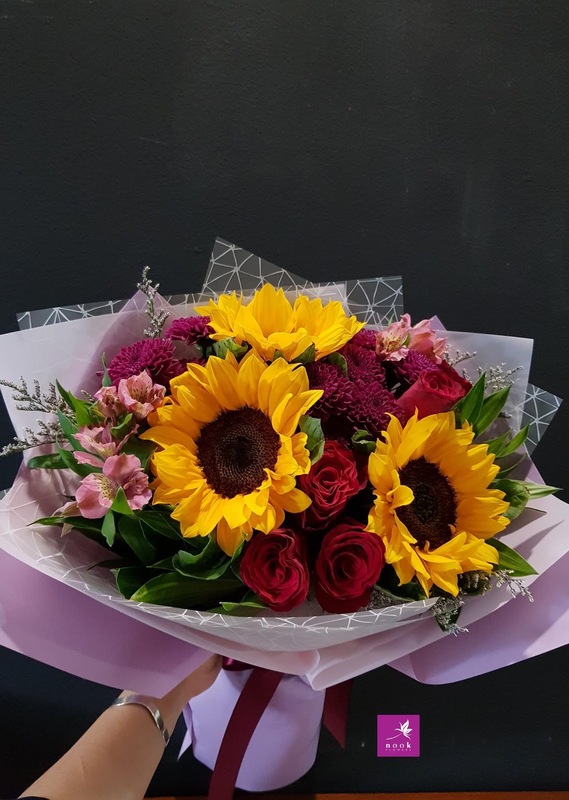 Show the same sentiment with this bouquet of sunflowers, roses, alstromeria and ping pong for RM160. 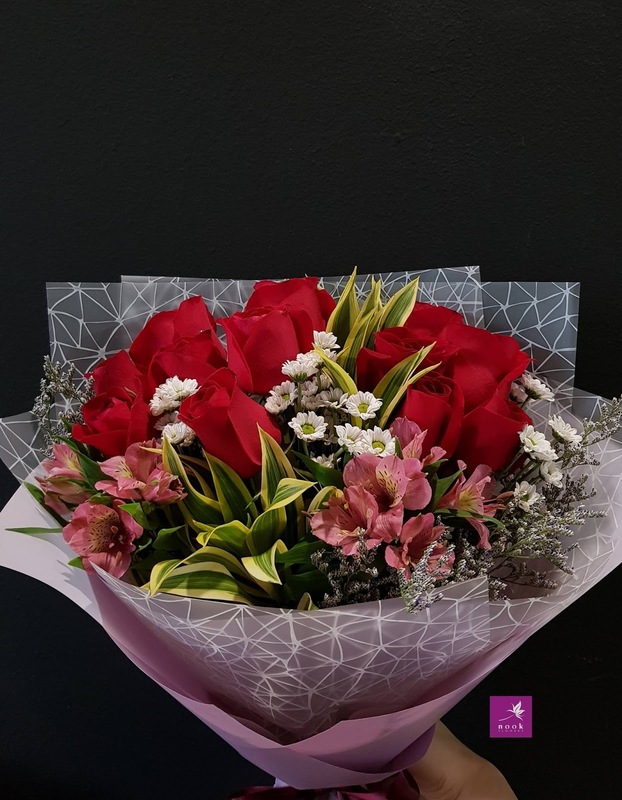 Classic touch with this bouquet of a dozen roses, mini white santini, alstromeria and caspia for RM160. Two dozen roses is RM240. 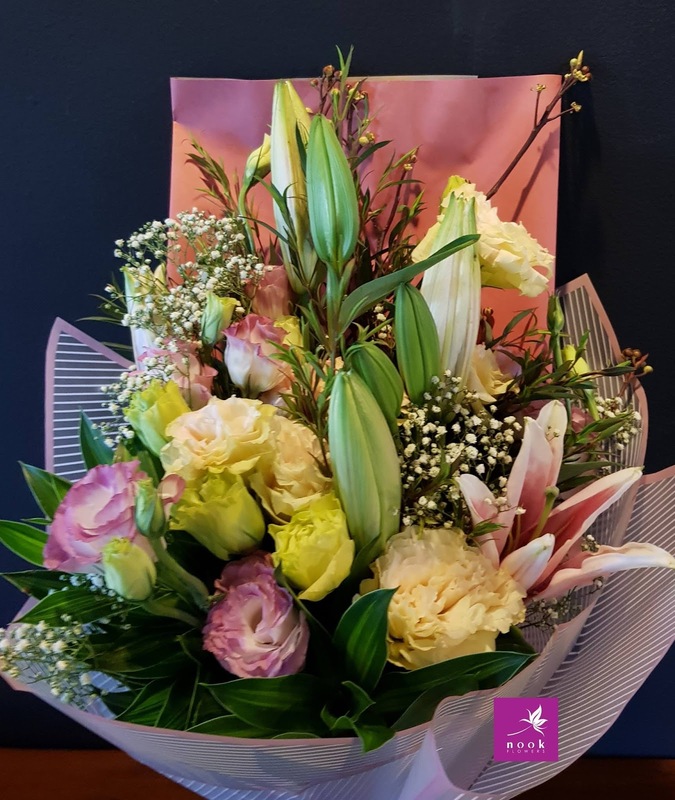 Celebrate life's best moments with this bouquet of lilies, eustoma and gypsophila. 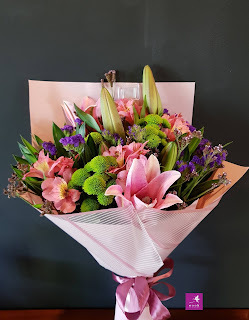 RM160. 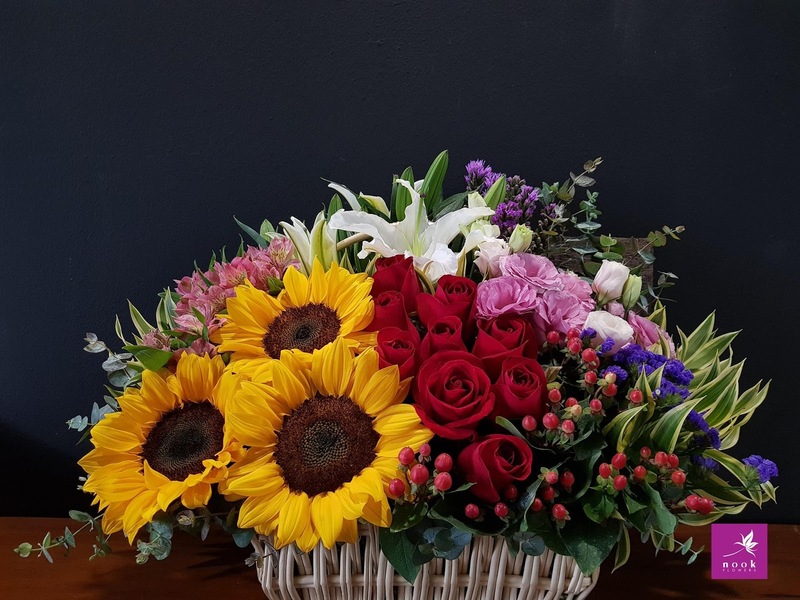 A statement piece - basket with sunflowers, roses, berries, alstromeria, lily and assorted foliage for RM300.